There is no particular weight or height of the baby that is considered ideal, but there is certainly a pattern that the baby must follow. 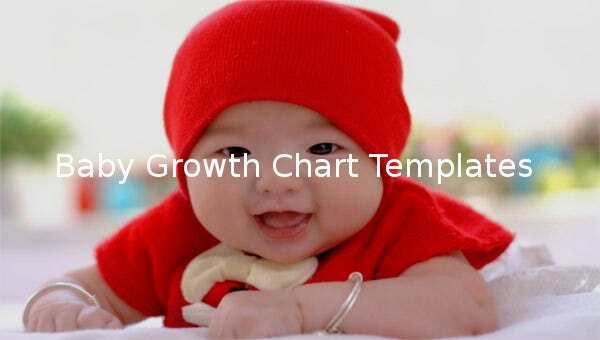 It is important that you track the baby’s growth with the baby growth chart which gives measurement between 3rd and 97th percentile to know whether his development is according to the pattern or not. Know more about this from the millions of template available in format options like PSD, PDF, MS Word and many more. 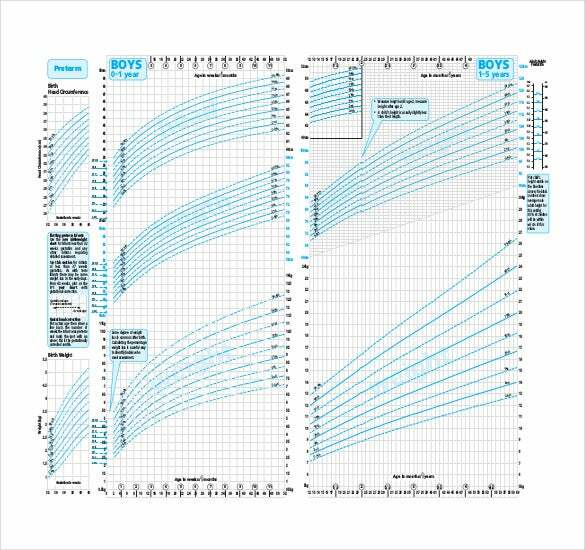 In order to track the development of your baby, consider using baby boy growth chart template which gives the measurement ranging between 3rd and 97th percentile of the WHO growth standard for the baby boys. Consider the best template for yourself from numerous options available in various formats like PDF, PSD, MS Word and many more. 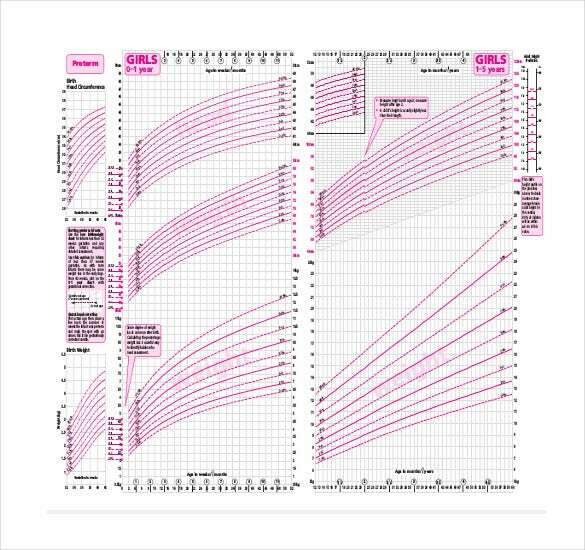 Track your baby girl’s development even without the help of a doctor using baby girl growth chart. 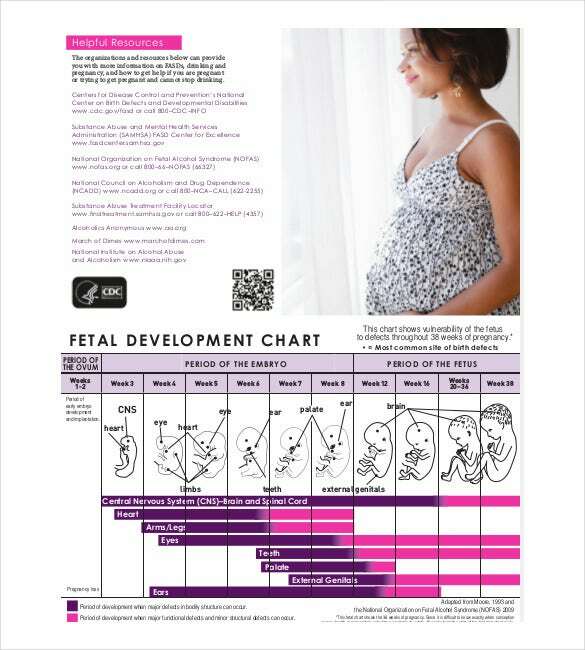 Maintain this chart as your child’s development pattern timeline. Select the template which best suit your purpose. These are available in variety of format options like PDF, PSD, MS Word and many more. 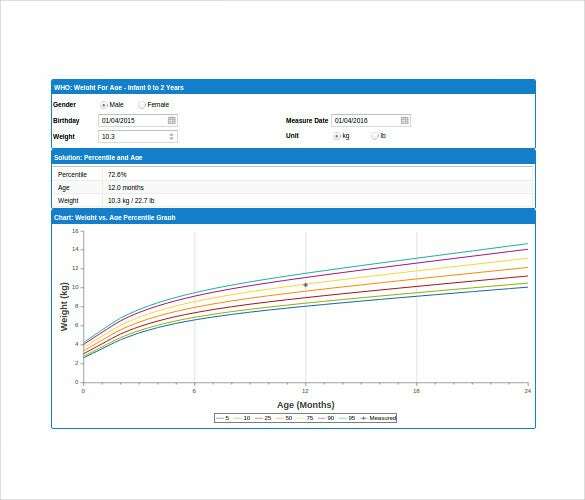 Use baby growth chart calculator to determine the infant’s growth status in comparison to other infants of the same age group. 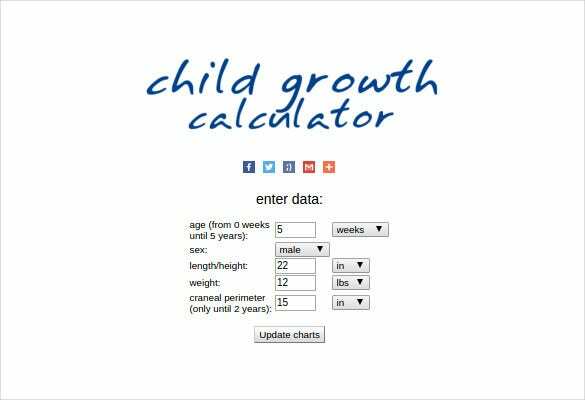 World Health Organization has mandated the use of a particular growth calculator for 0-2 years old. Choose from the wide array of templates available in numerous formats like PDF, PSD, MS Word and many more. 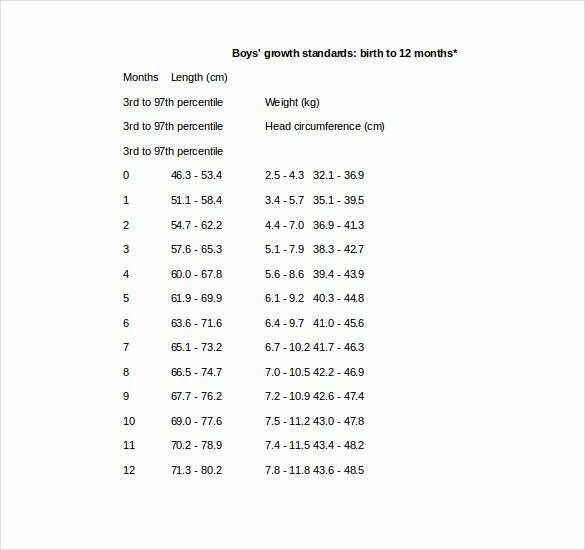 Are you experiencing growth spurt in your infant? It’s a quiet natural phenomenon for the baby to suddenly start consuming more, growing more, weighing more than the usual. 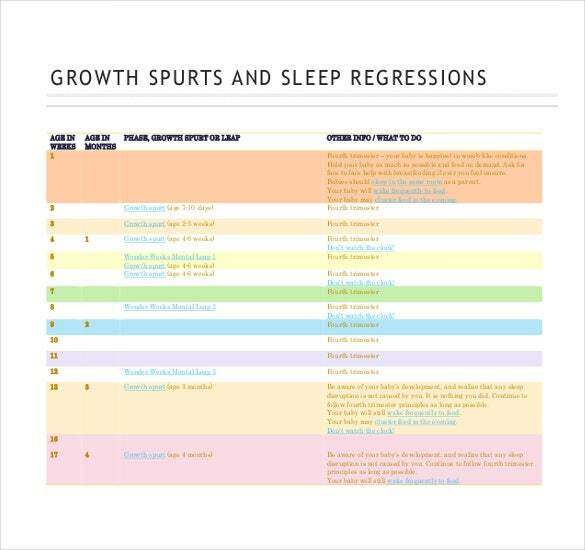 Baby growth spurt chart will help you keep a track of it for your convenience. Discover numerous templates for this purpose in formats like PSD, PDF, MS Word and many more. 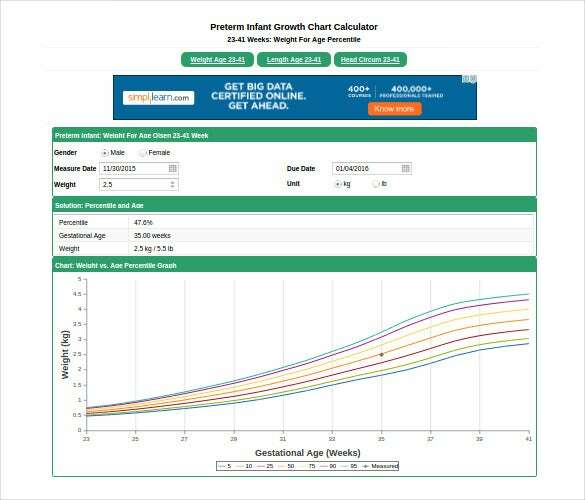 Keep updating yourself about your infant’s growth daily, weekly or monthly using baby percentile growth chart to make sure that your infant is right on track of its development process as compared to other infants. Choose the template that you like from numerous options like PDF, PSD and MS Word. Follow the development of the fetal growing inside you from a small mass to a full grown baby with the help of unborn baby growth chart. Keep a record of the embryo inside for future reference. Know more about this from the millions of template available in format options like PSD, PDF, MS Word and many more. Breastfed babies gain weight comparatively slower than the artificial fed ones but they are considered healthier and better developed. 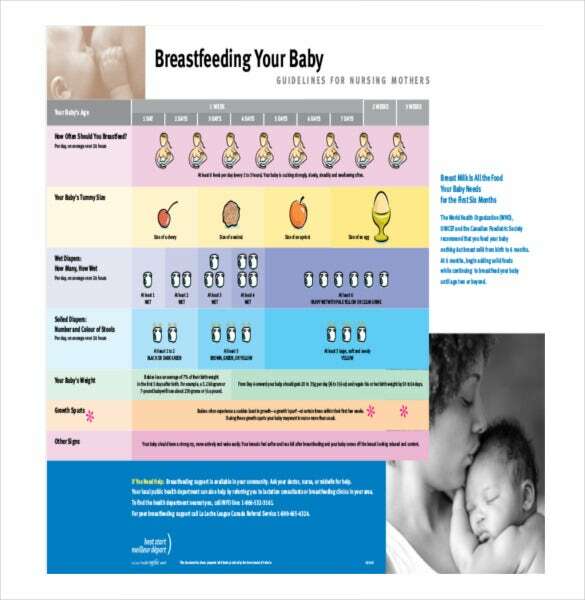 So it’s important that you have a separate growth chart for breastfed babies. Get the template for your infant in numerous options like PDF, PSD, MS Word and many more. Know whether your baby is falling on the curve or off the curve to check if the intake of their nutritious diet is as it should be or it has deviated from the standard intake. Baby growth chart percentile comes in handy for this. Go through the wide range of templates available in options like PDF, PSD, MS Word and many more. 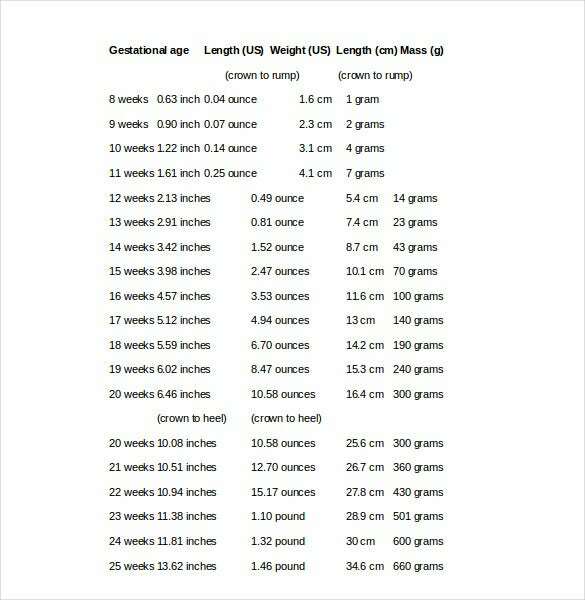 To track the development of infants born 32 weeks before the normal delivery, premature baby growth chart is used. They should be weighed on a different scale because these infants weigh 1 to 1.5 kgs. less than the fully matured ones. Get the best template for your infant from the range of templates available in numerous format options like MS Word, PDF, PSD and many more. 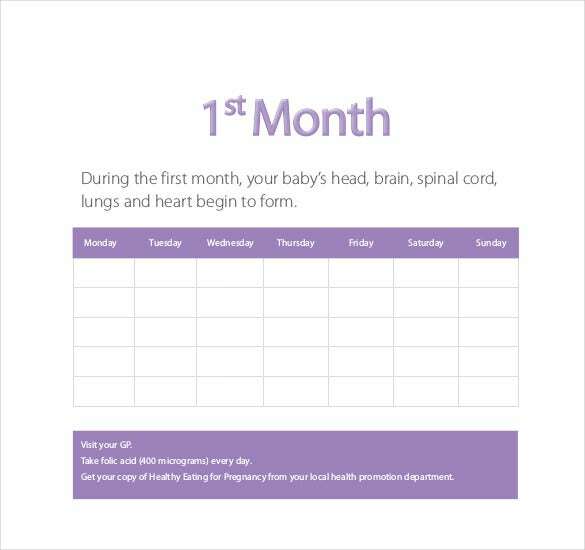 It’s not only important to track the development of the infant after its birth, but it’s equally important to know their development before they are born using baby growth chart during pregnancy. Hope you get the best template that suits your purpose. These templates are available in variety of format options like PDF, PSD, MS Word and many more.